Are you sick of my Valentine’s Day posts yet? Ha! Anyway, I didn’t want to give out candy with my daughter’s Valentine’s for school this year, so I thought I’d try something different. Of course buying in bulk is always cheaper, so I found these mini colorful gel pens at Staples for a good price. They actually write really nicely and come in so many fun colors. 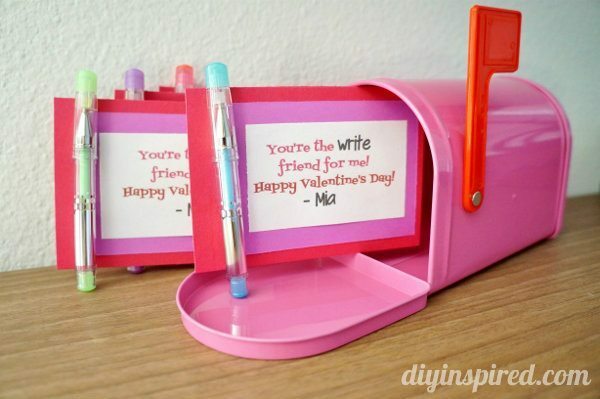 I made these easy homemade Valentines for school and they turned out so cute. I asked my husband for help when trying to think of what to put on the Valentine card and he was absolutely no help. 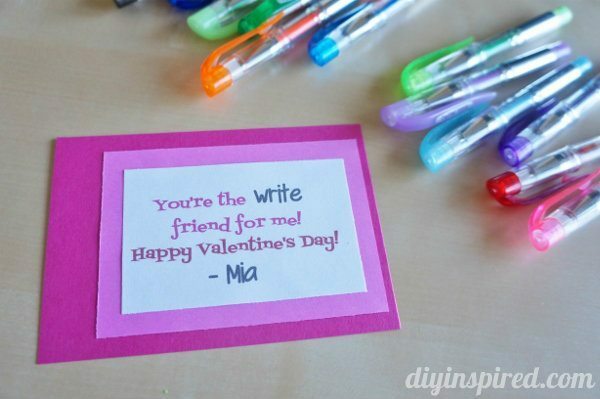 In my head I was trying to think of things like, “Ho-PEN you have a nice Valentine’s Day.” I know! I know! Cheesy! But I finally decided on, “You’re the WRITE friend for me. Happy Valentine’s Day!” I designed and printed them out. 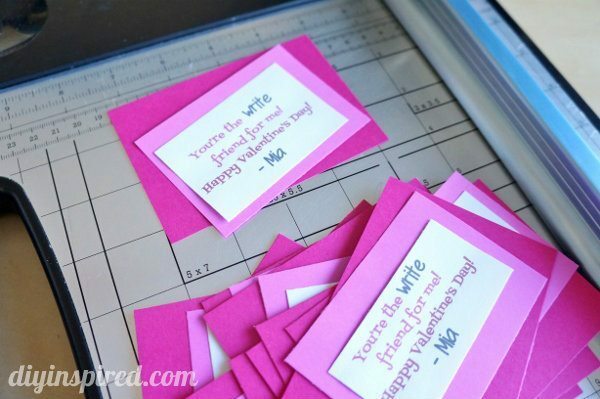 I used a paper cutter to make things easier on me. I used double sided tape and right aligned it so that I could put the pen on the left side. When I hooked the pen, I also put a piece of regular tape on the back to secure it because I knew I’d be traveling with a dozen Valentines in one bag. That’s it! Here they are. Mia said they were “cute” (I love it when she says things are cute because she’s still so little and it’s funny). Hope you like them and try it out! These are really cute, I bet Mia was over the moon with them!